The most important thing a designer needs to have is a good taste. A good taste at identifying great work. It doesn’t matter if your work doesn’t match up with your taste yet. It will slowly but steadily catch up. Ultimately your taste ends up defining your style. In fact your taste will be few steps ahead of your talent in the initial years of your career. Your taste can tell the difference in quality between what you want to make and what you have made. Image Source: Billboards Competing for Your Eyeballs. Image Source: Lorries of India. …or maybe it has got to do something with competition. The only way to stand out from the crowd will be to be more colourful and hence get more eyeballs. Unlike hoardings and billboards, the web has no single culture. It is an amalgamation of many cultures and hence the design aesthetics of the web never had any solid rules. It was good to an extent as a lack of rigid structure made it a playground for experimentation and the consequent rapid progress it made. But this habit of constant experimentation gave rise to something called a ‘flavor of the month’ phenomenon. Remember the Flash websites of the noughties and the Web 2.0 revolution. When such design revolutions come around a lot of designers blindly start following these trends without thinking why and the result would be their obliteration along with these trends. These styles that were meant mainly for the web, even made entries into print media. People started using glossy buttons in their brochures and ads. Now who presses those buttons, no one knows but this phenomenon clearly showed that designers easily fall prey to trends because it somehow shows that they are keeping up with the times. What they don’t realise is that good design transcends trends and withstands the test of time. 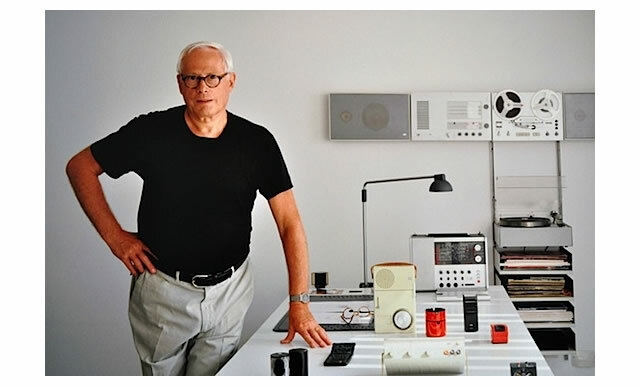 The works of designers like Stefan Kanchev and Dieter Rams stands testimony to this fact. Image Source: The timeless works of Stefan Kanchev. By looking at those designs you can’t predict which era they were designed in for sure. This is what we call a timeless design. These days a new phenomenon has been going around in the design world which I call ‘iOSification’ of design. iOS is one of those platforms which owes a lot to its design for the success it had. iOS apps had to follow a set of strict guidelines to be accepted into the ecosystem and consequently all iOS apps look like they have been designed by the same person. For an ecosystem this type of uniformity in the visual language is good but it rarely encourages innovation in design. True, every now and then something comes along which breaks this rule but more often than not this rule holds true. Everything would have been fine if it all happened within the iOS ecosystem but sadly that is not the case. Many web apps and websites have also undergone iOSification. To get a glimpse of this phenomenon, just visit Dribbble or any other portfolio site and search for UI design. Almost every result that is shown looks the same. The personality of the design is compromised when you try to conform to trends. The personality of any design is ultimately a reflection of the style of the designer. How much of a personal style a designer can bring to a project is very debatable especially in the case of projects in which a team is involved. Such works always have a collective identity but the whole is always the sum of parts. You would never blindly follow trends if you just ‘THINK’ about the ‘whys’ before you start doing anything. Thinking about your craft is essential if you want to stay ahead of the herd. Writing and talking about your craft helps even more because it can happen only if you think. Talking to people who are better than you challenges you. It refines your thought process and ultimately your craft will benefit. There is a thin line between simply following trends and building on something that is in trend. It is at this fine line that the negatives of exploring a trend finally levels out. Everything in this universe has a natural cycle where in it tries to attain an equilibrium by losing what is unnecessary and retaining what is necessary. Design is no exception to this rule. Sometimes when a designer has worked on a design for a considerable amount of time the design attains what is called a ‘local maximum’. No matter how much you work on that design, it is not going to get better than what it already is. In such cases what a design needs is a fresh perspective, a new set of eyes. This is one reason why the design community is tolerant when someone tries to build upon work done by another designer. Although the design-challenged mistake this for copying or ripping off, this is exactly how progress was ever made in the design world. Where you draw the line between blatantly ripping off someone and building on someone’s work is a very delicate matter. Let’s leave that debate for another day. There is a new movement going on in the online world. A movement in which a heavy premium is laid on the tastes of users. Until now sites like FFFOUND were used solely by designers and design enthusiasts. They have not managed to percolate through to the rest of the world but with the rising popularity of Pinterest more and more people get recognised for their taste. There is a taste for identifying good work and a taste for producing good work. While these curators in Pinterest can get away with a taste for identifying good work, a good designer needs to have both in ample quantities. The taste for producing good work is largely dependent on your talent. It is something you are born with and as you continue to develop your taste to identify good work, some of it also rubs off on your talent. Both keep feeding each other and helps you become a complete designer.